Packing for a leisure or business trip can be a difficult and expensive endeavour, especially when you consider how much the airlines charge to check bags. If you need to check your bag at the gate, it could cost upwards of $100. Some airlines, like American, have budget fares that limit carry-ons to one bag that fits under the seat—without access to the overhead bins, a according to Money magazine, Spirit Airlines has the highest prices for check bags, at $50.00 for the first bag and $60.00 for the second. A family of four traveling on Spirit, checking one bag each will add $400 to the cost of their round-trip travel. If that isn’t reason enough to pack light, than what is? • Buy quart-sized plastic bags and small bottles, and don’t bring full-size cosmetic and toiletries. Fill up 3.4 oz. bottles with lotions, make-up remover, shampoo and conditioner and other products you can’t live without, and keep the pouch handy to take it out for the security screening. • Bring solid forms of products: Bring soap instead of body wash; a deodorant stick; powder instead of liquid foundation, etc. • Shoes: Try to only bring one pair in addition to the ones you’re wearing on the plane. One multip-purpose casual pair of shoes, and then another classier pair in case you dine out. • Outerwear: Wear at least two pieces of outerwear on the plane and layer items instead of bringing one thick coat when traveling to cold destinations. • Don’t overpack: Choose items that won’t wrinkle, and mix-and-match outfits and clothing that can be worn multiple times. One great example is the clothing made by Unbound Merino – the company makes functional clothing specifically for travelers, which can be worn numerous times without smelling bad or wrinkling in your bag. It regulates your body temperature and it dries fast, making it good for cold or rainy destinations. As promised in the title, here are some of the benefits that packing light has over packing heavy. • It saves money as you won’t need to pay the steep price for a checked bag. • You will save time as you won’t have to wait for your checked bags at your destination. • You won’t look like a tourist, especially overseas, as you won’t have to lug around a large suitcase, or knock people over on public transit. • You can be spontaneous. 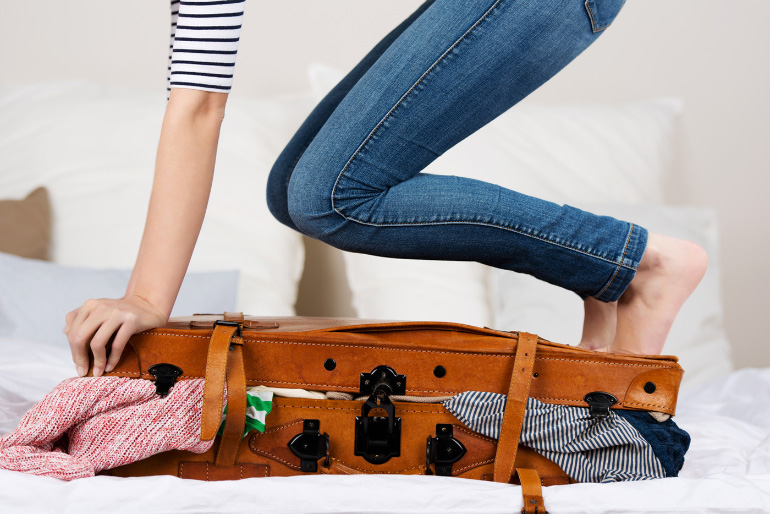 Your packing will be simple and easy, so you take advantage of great airfares at the spur of the moment. 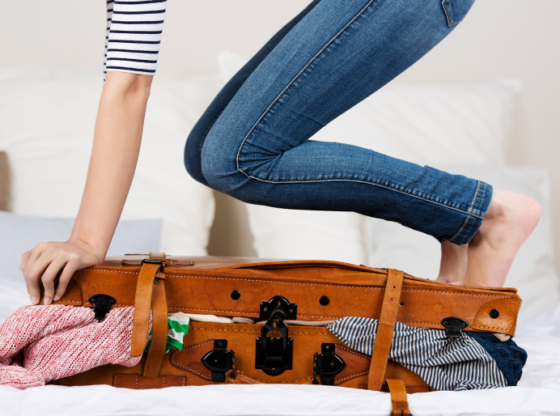 Whatever benefits there are to packing heavy – having access to a bunch of your clothing and toiletries – pales in comparison to the benefits of packing light. When you pack light, you save money and time, and you give yourself the opportunity to travel freer. What more do you want from a vacation?